At some point, everyone thinks about it, quitting. You've been thinking about building a business for years and you feel like you're ready to finally take the leap. But, how do you actually quit your job? Or, how do you make the case to work remotely to your boss? It can feel really daunting and scary, going from a comfortable 9-5 job and into your own thing. That's why we created this category, in it, we give you tons of advice on how to quit your job and set yourself up for the best possible success as you move on to the next stage of your life. 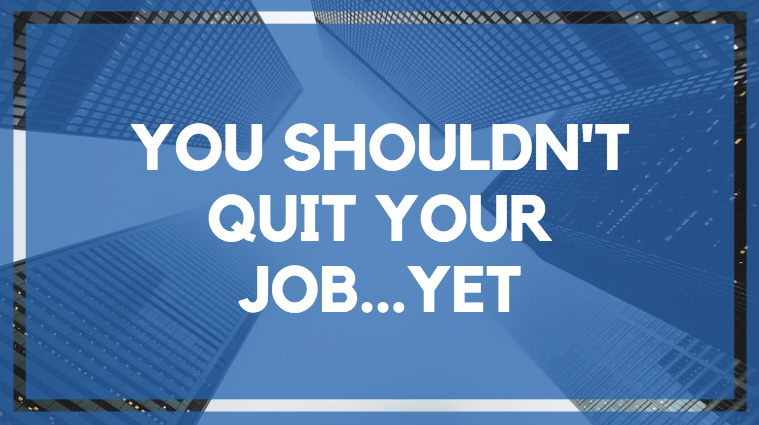 You Shouldn't Quit Your Job…Yet.